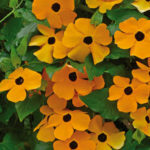 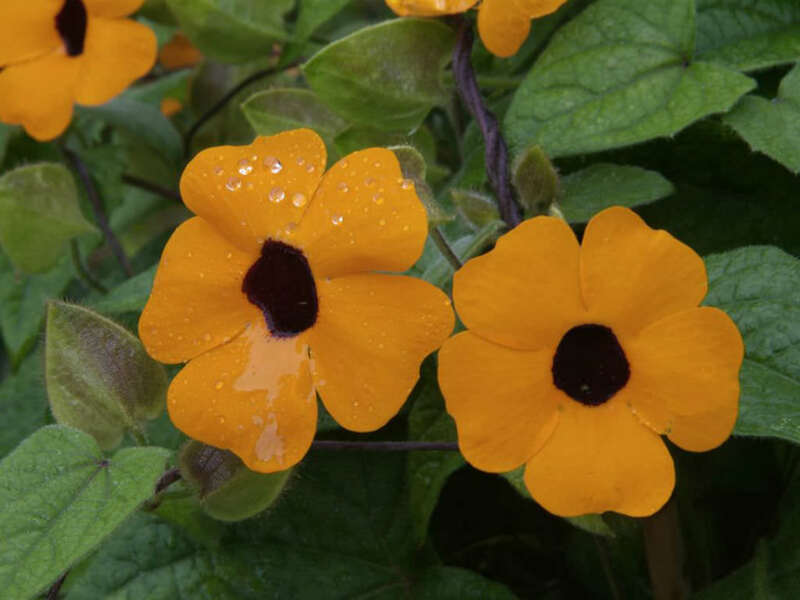 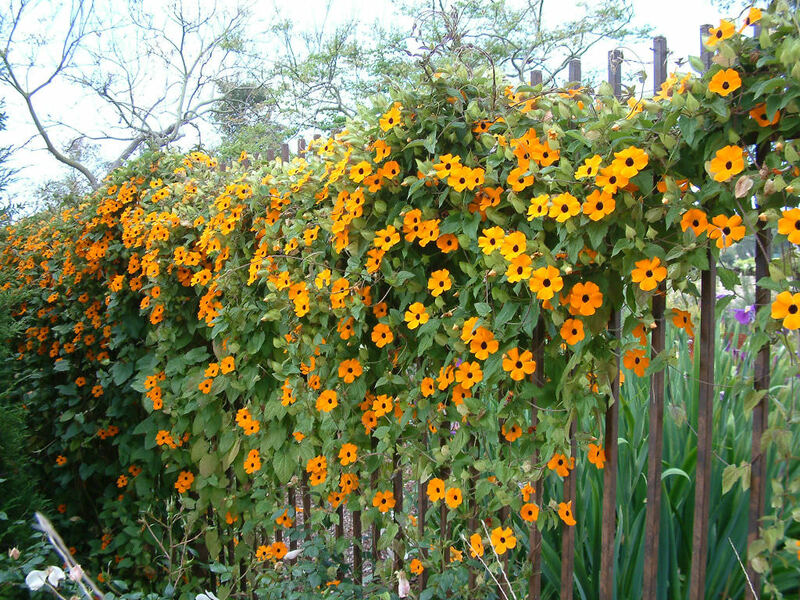 Thunbergia alata is a soft, perennial, climbing plant up to 8 feet (2.4 m) tall, with many twining stems. 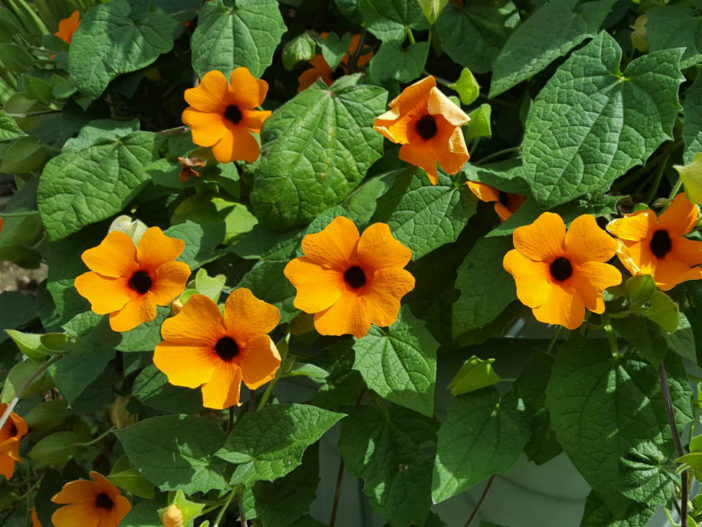 The leaves are heart or arrow shaped, softly hairy and sometimes toothed. 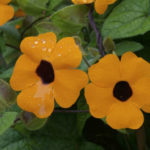 The flowers have 5 petals and appear throughout the summer but can continue all year in warmer areas. 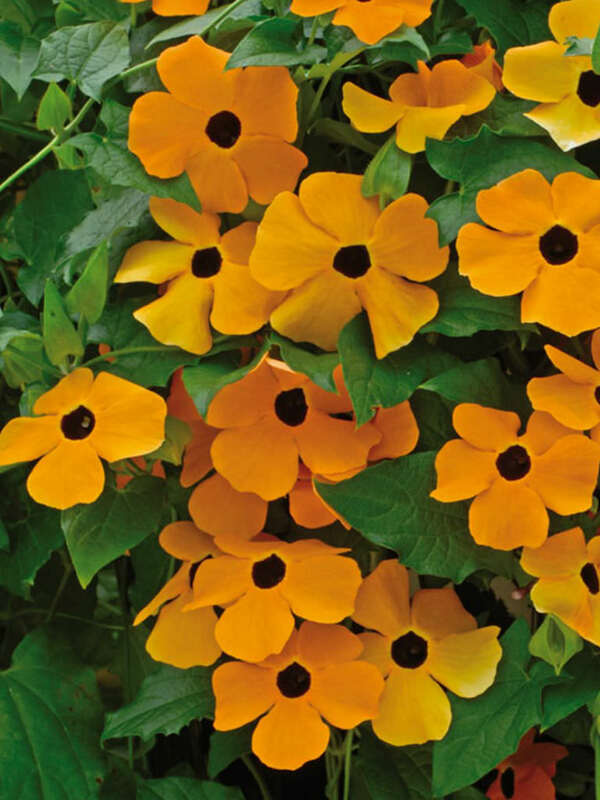 They typically are warm orange with a characteristic dark spot in the center. 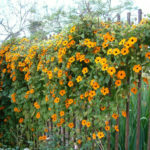 Native to eastern Africa, and has been naturalized in other parts of the world.